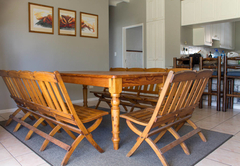 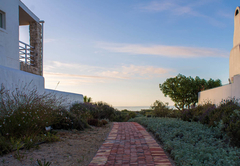 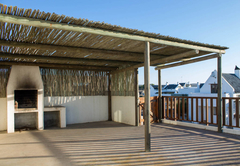 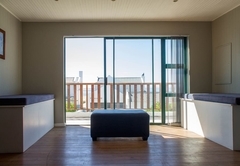 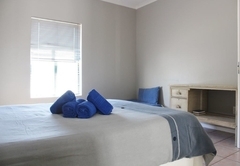 De Nada is a property providing self catering in Paternoster for up to 8 guests visiting the Cape West Coast region. 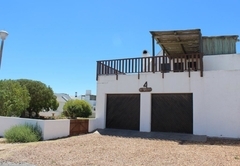 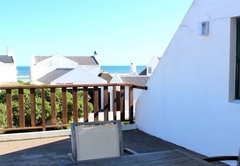 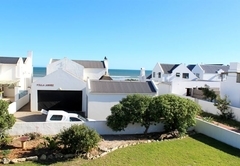 De Nada is a fabulous four bedroomed self catering house situated only 30m from the beach on Mosselbank in Paternoster. 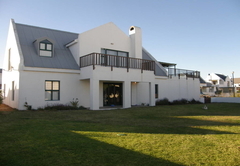 This gorgeous house boasts four bedrooms and three bathrooms. 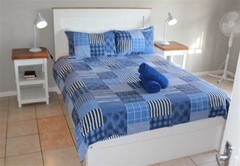 The main bedroom is downstairs and has a double and single bed. 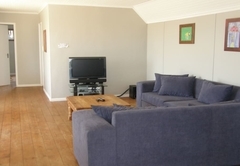 It also has a an en-suite bathroom with a bath and overhead shower. 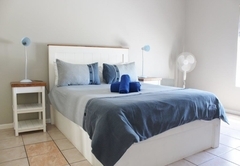 The second and third bedrooms each have a double bed and one single bed. 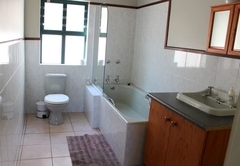 They both share a bathroom which contains a bath and shower. 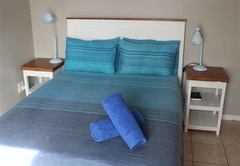 The fourth bedroom has a double bed as well as a separate bathroom with a shower. 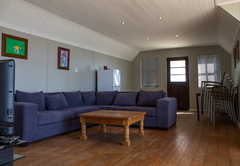 Upstairs you will find an open plan lounge and TV room with a lovely entertaining area and beautiful views. 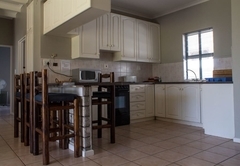 There is also a fully equipped kitchen to suit your self catering needs as well as a lovely braai / barbeque area inside and outside. 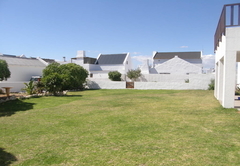 Secure parking is available for two vehicles in the two lockup garages. 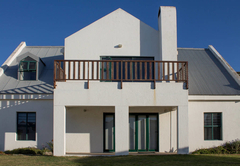 Response timeDe Nada typically responds to requests in 5-10 minutes.